What is Ceramic Tile Flooring? The word ‘ceramic’ originates from the Greek word ‘keramos’ which means pottery. Ceramic tiles therefore are tiles made from materials like earthenware and porcelains and they come in different shapes and sizes. Many homeowners use ceramic tile flooring because it portrays a home interior art form that come with a striking visual appeal, thanks to their natural elegance, vibrant tones and great textures. There are two types of ceramic tiles: porcelain and non-porcelain. Both are made from feldspar and clay minerals dug from the earth. After these are mixed in water and put in the kiln, the time taken to dry them affect the hardness and thus the type of the tile. Both tiles are attractive and durable. They come in many designs and colors and can be treated to make them stain and slip resistant. They are good conductors of heat and cold. Durability –these tiles have been known to weather high traffic situations because they are strong and hard wearing. Environment-friendly–these tiles are odorless and they neither absorb nor store odors, vapors or smoke. They also prevent the formation of mould in your bathroom, kitchen and toilets as they are able to prevent humidity. They are a natural product made from clay, water and fire and will therefore not emit harmful smells. They are said to be hygienic and anti allergenic and are good at controlling dust mites which can trigger allergies like asthma. They come in a variety of colors, designs, textures and sizes to enhance the appearance and add value of your home. They are easy to clean and maintain, and save for the occasional sealant; they are cleaned as regular floor. They are DIY friendly, easy to install and maintain. Their in combustibility is an added advantage since they help to prevent the spread of fires. In fact, they withstand abrupt temperature changes. These tiles are cold and are more uncomfortable during wintertime. They take longer to heat or cool in any temperatures. They bring an additional cost of installing heating and cooling systems underneath in order to balance their temperatures. It is difficult to replace because of the adhesive used, the grout and the sealant applied. They are not tolerant to drops and accidents. If your tiles have not been treated for slip-resistant, you can easily cause harm to your body through slipping. Their hardness works to their disadvantage in that it makes them more prone to cracking when heavy objects are dropped. It can also be hard to clean the stains and mold that forms in the grout lines and must be sealed occasionally to maintain them. 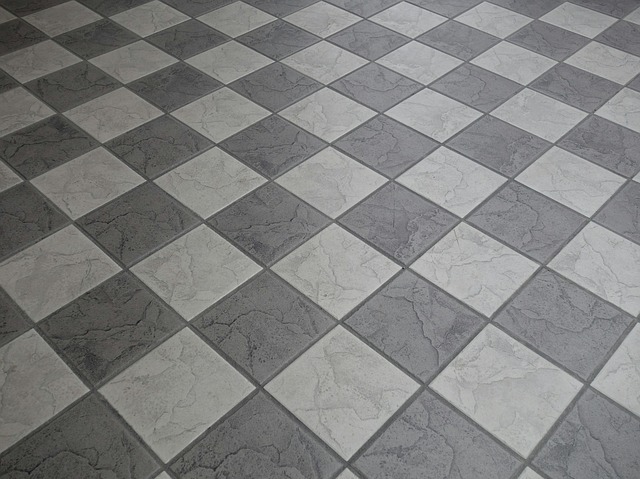 Our advice: if you are improving your home, go the ceramic tile flooring way. These tiles will add value to your home, allow design flexibility and style and improve the look for your home. They are trendy and you will find them aesthetically pleasing to you and your family.